In response to our ever popular “Call of the Sheltie” post, Snickers has sent in his response. What are they saying Snickers? Had that loving Sheltie heart. This Sheltie is being so gentle…what a sweetheart. Just more proof why we all love the breed! OK, so the puppy isn’t a Sheltie, but its cute! A heartfelt “Thank You” to all our Sheltie Nation members & visitors. This site wouldn’t be what it is without all of you & your wonderful dogs! 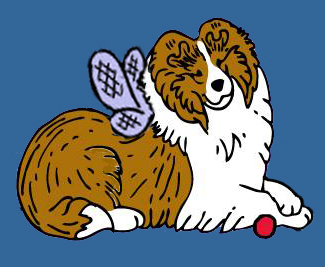 We are taking a well earned couple of days off here at Sheltie Nation…we will be back with more Sheltie fun December 31st! But in the meantime, be sure to keep sending us your photos, inspirational stories & Sheltie news! May you all have a safe and happy holiday season filled with lots of Sheltie joy!